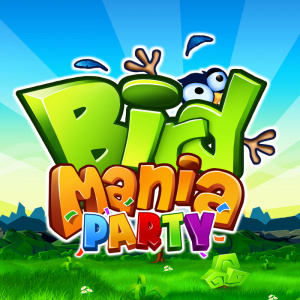 Starting life as Bird Mania 3D – a hidden gem in the ever growing 3DS eShop library released back in 2012 – Bird Mania Party is an expanded version of the original brought to us by publisher and developer, Teyon. We were fans of the original release, as well as Bird Mania Christmas which was released not too long after, and it is safe to say that this latest iteration doesn't break that trend. An incredibly simple game at heart, Bird Mania Party's single player experience consists of just one solitary, endless level. 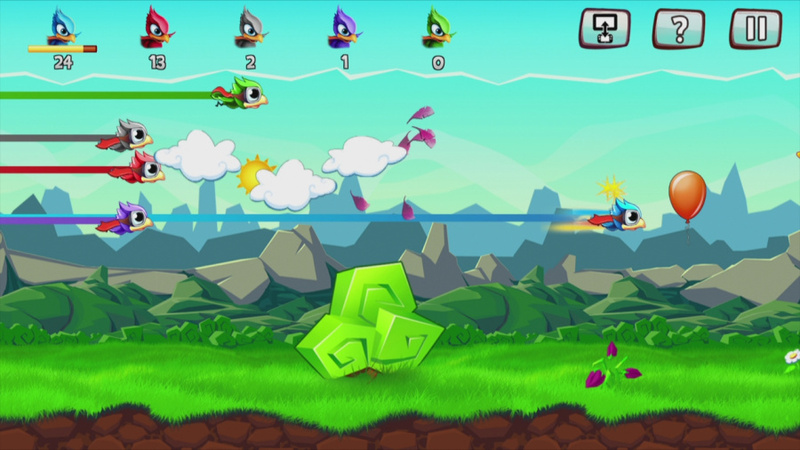 Your role as Mojo the bird is simple too – get the highest score possible. 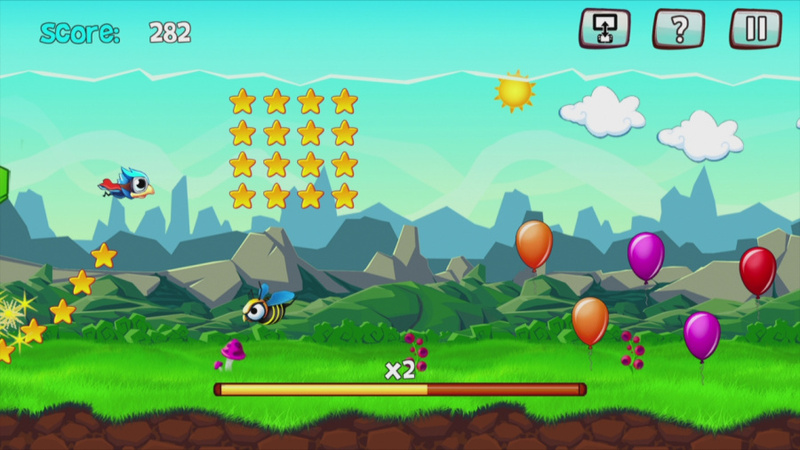 Mojo flies through the air collecting stars and balloons which earn him points, the longer you can survive and the more you can collect, the higher your score will be. Luckily, however, you'll soon discover that there is an art to getting top scores and suddenly things start to get incredibly addictive. Mojo can be controlled by one of two methods. The first of these is to use the control sticks – Mojo automatically flies from left to right meaning you only need to control his vertical position by pushing a control stick up or down. The alternative method is to use the stylus on the touchscreen. This option feels far more responsive, which is incredibly beneficial as the level goes on and you're flying at high speeds. Aside from his position, the only other control for Mojo is a dash which can be triggered by pressing either of the L and R shoulder buttons. 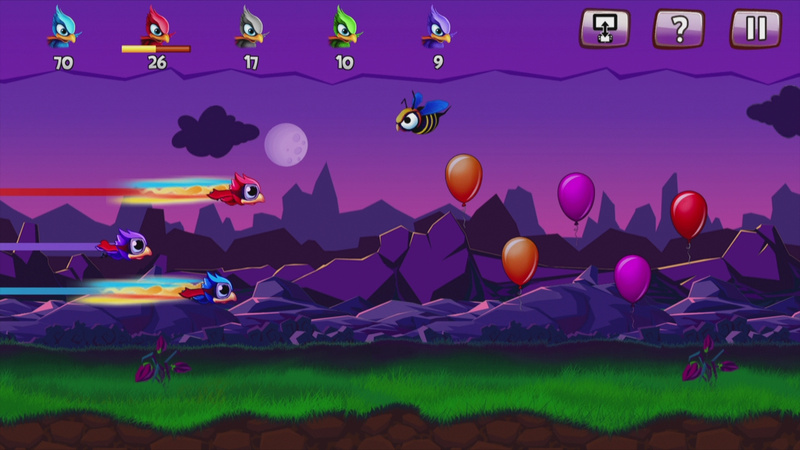 This dash can last for a few short seconds and can allow you to fly through easy sections quicker, reach balloons in time before they fly off the screen and even defeat enemies. At first it feels like avoiding obstacles and playing safe – collecting any stars and balloons that you can – is the best way to go, but the most fun and points can be earned by playing the game at a risky pace. If you defeat a bird (by dashing through them) a score multiplier of x2 will begin. Hit another bird and this will increase to x3 and so on – increasing how many points every star will earn you as you collect it. In a mean twist, however, these score multipliers have a time limit, meaning that if you don't hit another bird in time your multiplier chain will break and reset to zero. Accidentally defeating a wasp rather than a bird also causes a reset. This means that for maximum points you need to not only successfully defeat almost every bird you see, but also fly through the entire level at a blinding pace by almost constantly dashing. Flying through areas with lots of obstacles at such a pace is an incredibly thrilling experience when you manage to pull it off. As well as this solo mode there are two different multiplayer offerings. First up is 'Party' mode. The idea is nice and simple – two to five players compete against each other to see who can last the longest through the level and score the most points. One player will be using the GamePad with other players using Wii Remotes. As the last player hits an obstacle the game will end, points are tallied up and the highest scorer is crowned victorious. The second mode is 'Co-op'. As you might expect this is a game for two players working together to get the highest score. This time around you have a number of hearts displayed at the top of the screen indicating how many hits you can take before it's game over for you both. A great feature of this mode is that each player is given a specific role – one person can only collect stars, whilst the other can only use the dash to defeat enemies – thanks to this setup you don't get in each other's way as is the case with many co-op games. Throughout the level a sound will chime indicating that the roles are reversing, meaning you quickly need to change your mentality and work towards the opposite target, keeping things fresh along the way. 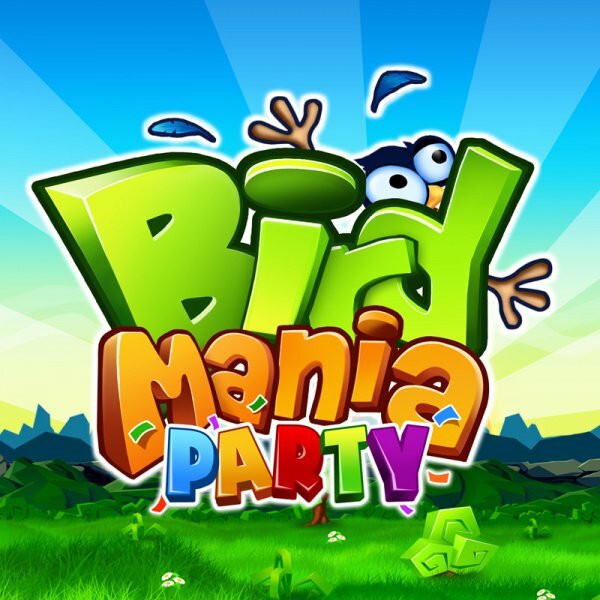 Bird Mania Party is essentially the same game that we saw in 2012 on 3DS, albeit with the very welcome additions of multiplayer action and with online leaderboards for those with a competitive streak. Despite this game arguably being better suited to a handheld device thanks to its time-filler nature, this Wii U title stands out as being the best of the series so far thanks to the extra content. This game does its job as some laid back fun for you to pass the time, and possibly get addicted to. With leaderboards to challenge and achievements to unlock you will find reasons to keep playing this one for some time, and considering its welcoming price it's very hard to not recommend giving this a go. Wow. Really? An 8. Seriously? I have Bird Mania Christmas 3D... and well, it's not bad, but it's not great either. It's one level, and you'll likely be bored within minutes. It's the kind of game better suited to an iPhone... of course it's better on 3DS but... I could probably find better games for free on my phone. So instead of an endless runner an endless flyer? Teyon,the developer, gave me a free code of this game.It's okay but not great. It's basically unplayable when Wii U isn't connected to the Internet since an error message keeps appearing. Ocean Runner(an endless swimmer of wich they also gave me a free code) for 3DS is way better. The 3ds versions grabbed me for a while and were good value given the price. Will get this now I know its not broken. This game is simple and fun for while but not worth more than a 6. I feel like it's getting 2 points extra becsuse it's cheap. If that's the case, it's not fair. Games have to be rated for what it is and the price shouldn't affect the score in any way.. EIGHT?! ARE YOU KIDDING ME AFTER THE TERRIBLE FIRST GAME?! Guys, April fools was days ago. What is this, the Wii? The first game was fun for a bit, but bored me after a little while. Didn't get the Christmas reskin of the game they released later. This score seems a little generous. I feel like a 7 is the highest score it should get and even that is veing generous. It's just that at the same time, 6 seems too low. @NiBar: The price will always influence the score. You have to compare 2$ games only with other 2$ games, 10$ games only with other 10$ games, and 60$ games only with other 60$ games. It's only 1.99 and has the ability to take away hours (especially in the 5-player modes or chasing down scores from the online leaderboards). It seems it does its job very well, so if it's a fun, polished up little game, that has good new content, why not showing it up there along with the other good 1.99 games? @Moon Good thing there's already a free version of this game that you can get on iOS instead. I'm already bored of it. This game is charming. Only it needs an update. One player mode with wiimote PLEASE!!!!! @TingLz actually, he reviewed it and gave it a 7. Edit: oh he said it himself.... 9 hours ago! Oops.